In December 2015, the European Commission launched the Circular Economy Package, which aims to bring a major shift in waste management, product and process design policies and consumption patterns that minimize the landfill and incineration of waste. Less than two months after, on Thursday February 4, the European Commission presented the Roadmap for the Communication on Waste to Energy, which sets the scope and terms for the Communication on waste-to-energy that will be published later on in 2016. As we read through it, this roadmap is a worrying step on four counts. Firstly, the European Commission refers in this roadmap to non-recyclable waste as the perfect feed for an incinerator. However, no definition of non-recyclable waste can be found in the Waste Framework Directive or in the new proposal. The Commission mixes up non-recyclable waste with mixed waste, and while it’s true that mixed waste can’t be easily recycled, these are two different things. While mixed waste is a problem of separate collection; non-recyclable waste is mostly a problem of product design. If properly separated, there’s no non-recyclable waste only non-recyclable materials and the solution to them isn’t burning, but re-design to make them fit into the circular economy. Secondly, this road-map especially worrying because it ignores the role of civil society and local governments, as the Commission aims at consulting only Member States’ regulators, “waste-to-energy” plant operators, RDF producers, the recycling industry and other waste burning industries (chiefly cement kilns). Neither municipalities, nor NGOs are included in the list, despite the fact that waste incineration remains highly contested from NGOs to local neighbourhood associations and resident groups, citing a wide range of concerns from health and environmental issues to financial problems. Unfortunately this isn’t a systemic change, just more of the same. On the mountainous outskirts of Shenzhen, a fast-growing megacity in China, the largest waste-to-energy plant in the world is on the horizon. 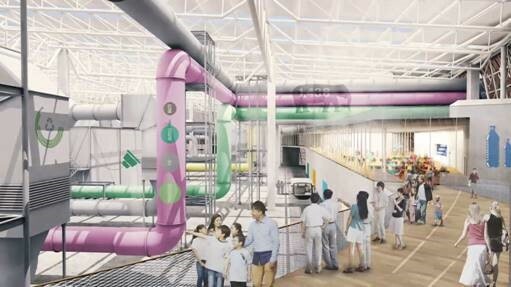 This particular incinerator-to-be is designed by the Danes. As you might expect from those same folks who are shaming the rest of the world in wind power, the Shenzhen plant has a green twist. The design features a pedestrian path that winds along its one-mile circumference and a roof covered in 44,000 square meters of solar panels. 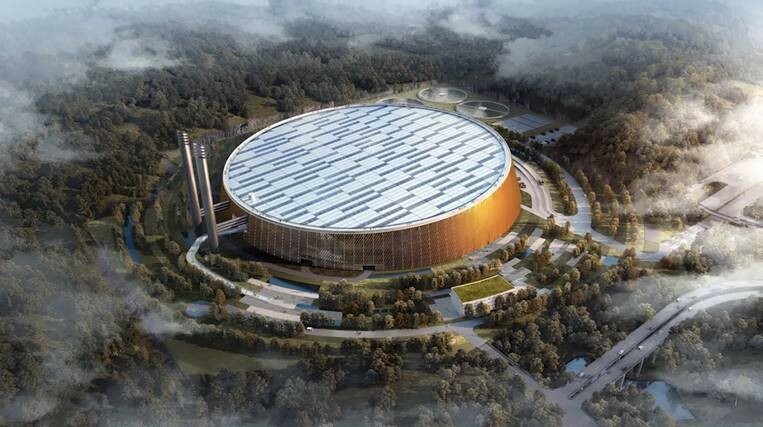 When the plant opens in 2020, Shenzhen’s citizens will be among the few people in the world who could reasonably say, “Hey, wanna take a lap around the incinerator?” And according to the image below, those visitors are going to have a grand time admiring the wonder that is incineration. CHINESE bioenergy company Sunshine Kaidi New Energy Group has announced plans to build a €1bn (US$1.1bn) wood-based biorefinery in Kemi, Finland. The biorefinery will produce 200,000 t/y of second-generation biofuels, 75% of which will be biodiesel and the remainder biogasoline. The biorefinery will be the largest single investment ever made by a Chinese company in Finland, and Kaidi has established a Finnish subsidiary to oversee the project. The biorefinery will be the first of its kind in the world, while the design will be based on Kaidi’s pilot plant in Wuhan, China. The feedstock for the plant will be sustainably-sourced wood, forestry industry waste and bark. Kaidi says it will need around 2m m3/y of wood, which will be sourced from within a 200 km radius of Kemi. The refinery will use plasma gasification to convert the organic matter into syngas, followed by a cleanup step to remove impurities. The refined syngas will then be subject to the Fischer-Tropsch process to make liquid hydrocarbons. The final products will be suitable for use as drop-in fuels or for blending with petrochemical fuels. Construction on the site is expected to begin in 2017, with the plant beginning operations in 2019. The plant will employ around 150 permanent staff, with several hundred extra jobs created in wood harvesting, transportation and machinery manufacture. Finland’s forestry industry has suffered in recent years due to the downturn in paper demand, so this is likely to be a welcome boost. Kaidi chairman and CEO Cheng Yilong said that Finland’s experience in the forestry industry and “positive political climate” had been big incentives to invest in the country. “Finland is the most interesting investment target in terms of biofuels in the Northern Hemisphere. Finland’s bioeconomy policies are particularly advanced and ambitious, it has large biomass resources and many interesting co-operation partners,” said Cheng.